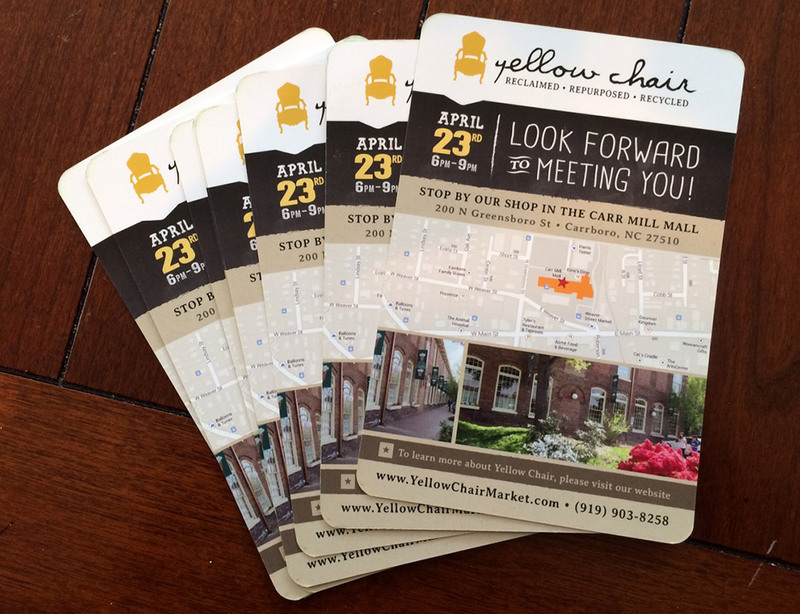 We recently designed a postcard announcing Yellow Chair Market’s new retail location in Carrboro, NC. 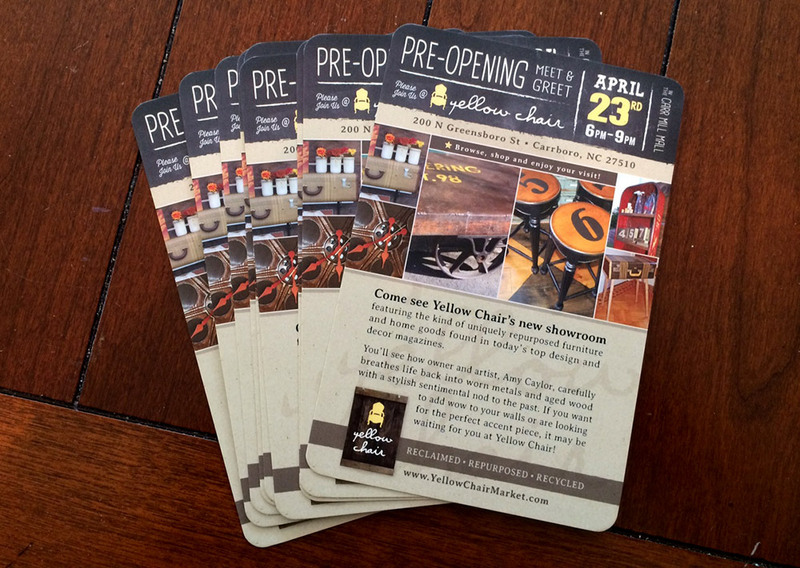 The design mimicked the website and brand we helped establish for YCM. 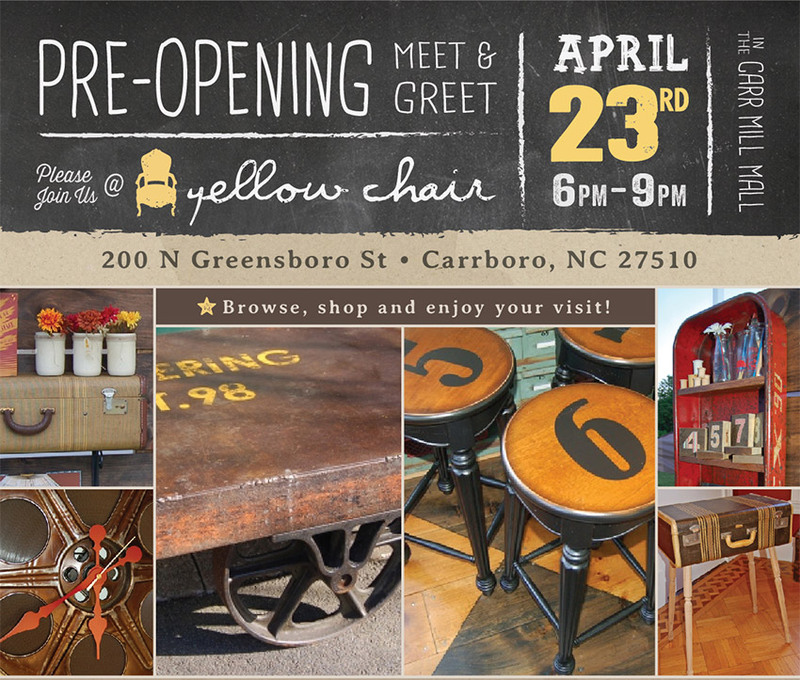 The shop is owned by our sister, Amy, who also repurposes and hand-finishes the creative and unique furniture and decor. As any good bros would do, we visited her new space in the very cool Carr Mill Mall before it was officially opened and helped paint, nail, assemble and hang a few things. The three of us collab’d while we rocked out to some good tunes; the creativity was flowin’. 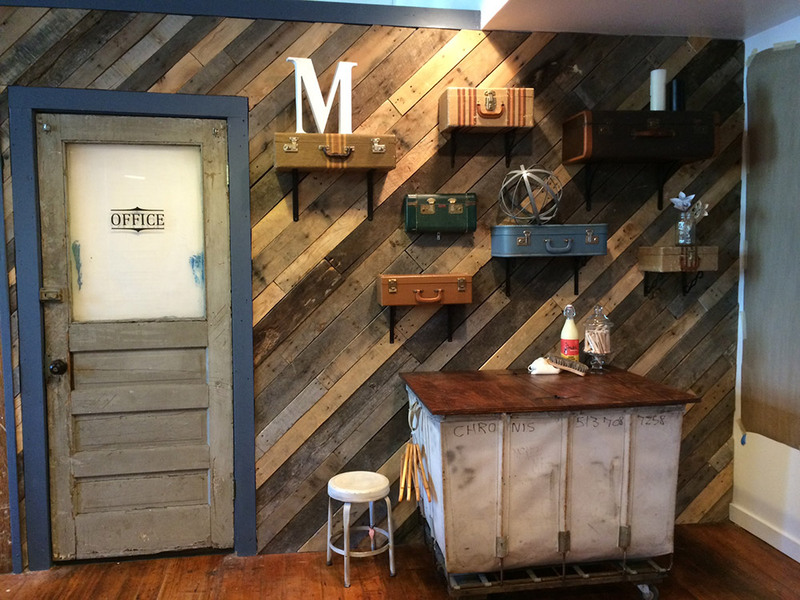 Amy creates shelves out of vintage suitcases. In front of the pallet wood wall is a laundry cart converted to a table. Of course, we only helped with a tiny fraction of the store’s facade. If you’re in the area, it’s worth a look! Lots of her cool products, big or small, moving in and out almost daily. Wanna see some of the stuff she creates? Learn more here. Using pallet wood, black iron pipe and hand-cut wooden letters, we created a hanging sign. 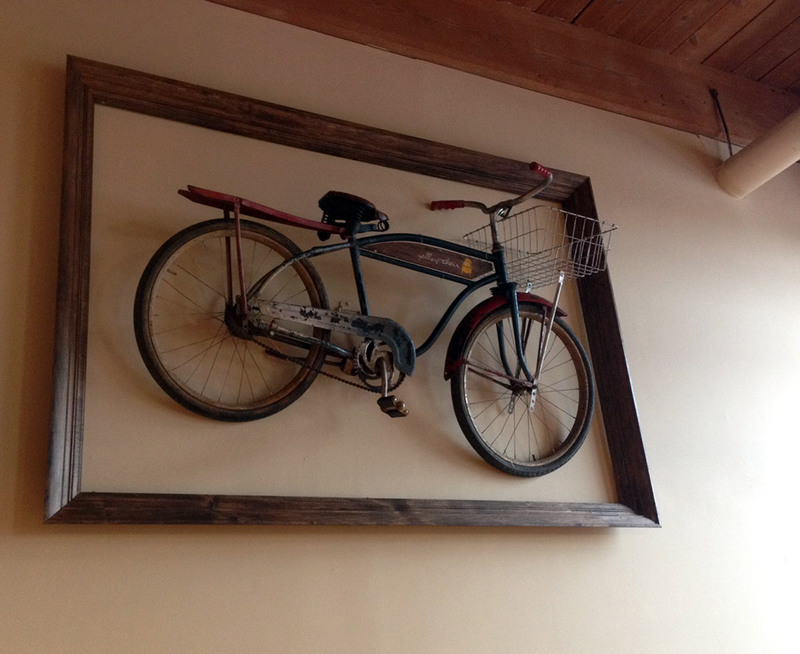 Amy wanted to frame an old bicycle and hang it on the wall. Boom, there it is. Large sign made from reclaimed wood (from an old farm) and hand cut lettering. 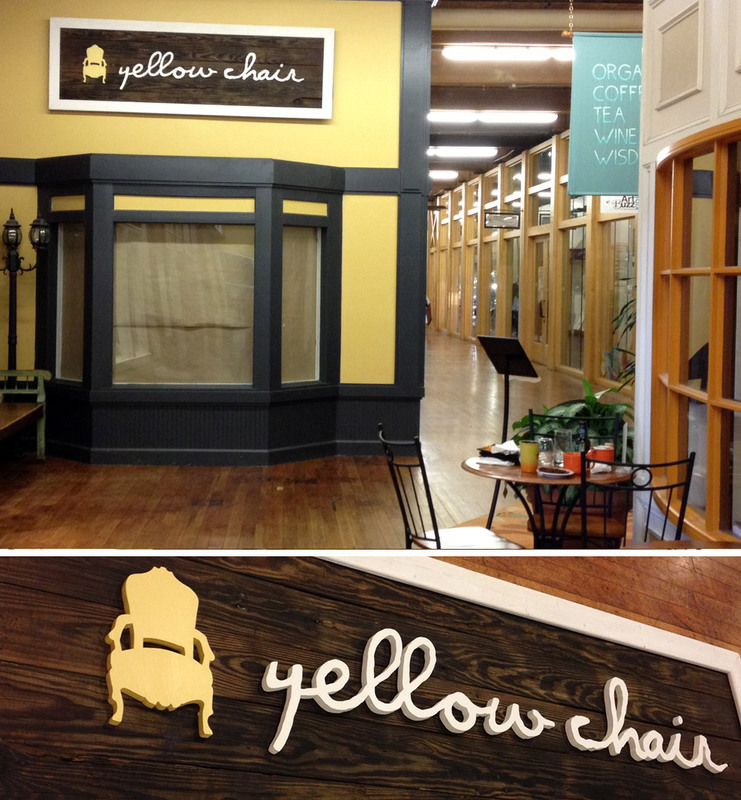 Pallet wood wall, before & after) at Yellow Chair Market.